Paluweh volcano (also known as Rokatenda), is the tip of a large, mostly submerged stratovolcano rising 3000 m from the sea floor. 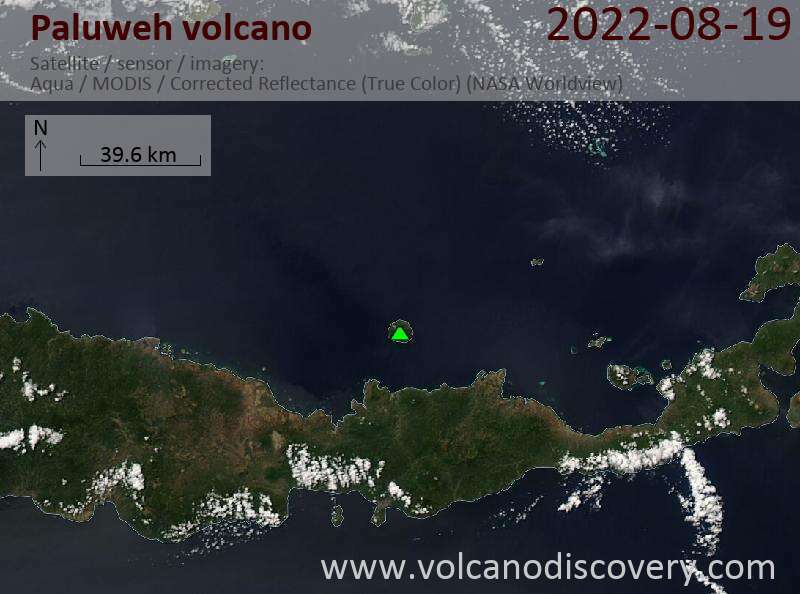 It forms a small 8 km wide island with the same name north of Flores Island. Paluweh has a complex summit composed of several overlapping craters and lava domes up to 900 m wide. Several flank vents were formed by flank eruptions on a NW-trending fissure. The largest historical eruption of Paluweh in 1928 was highly explosive and produced a landslide triggering a tsumani. Activity from the lava dome continues with occasional explosions and / or collapse events, but has been decreasing over the past weeks. 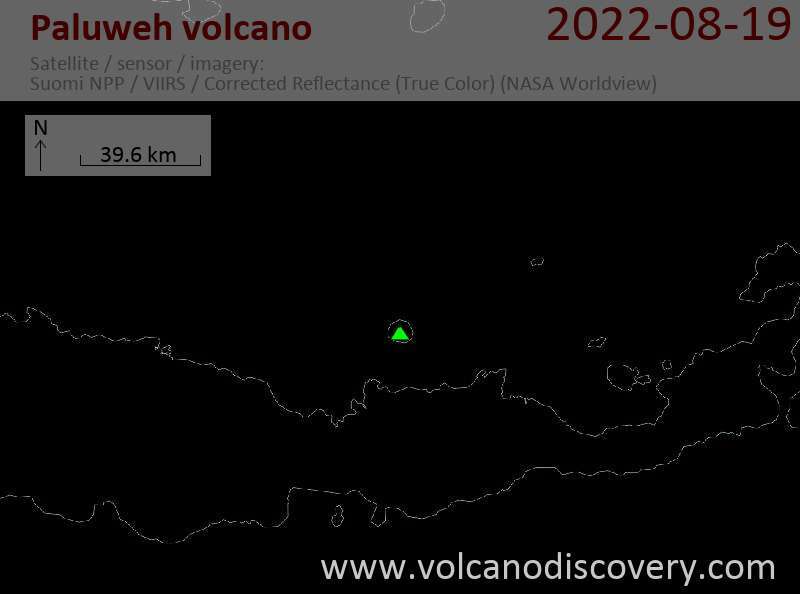 An ash plume at about 8,000 ft (2.4 km) altitude was observed on satellite data yesterday (VAAC Darwin). A visit by a recent group in July revealed that the dome, compared to December 2012, has approximately doubled in volume, mostly due to becoming wider. At its top, a new crater has formed inside which a small new dome seems to be growing.